Aga Khan. Health Services Tanzania (AKHST) - an agency of the Aga Khan Development Network (AKDN) is a non-profit international organization that supports social development programs In Tanzania. AKHST is committed in providing quality health care to patients and promoting health sciences in Tanzania. With this ongoing mandate, The Aga Khan-Health Services Tanzania (AKHST) has embarked on a major expansion that will see the development of tertiary-level services, educational and quality initiatives. AKHST will be implementing a new and exciting project: Improving Access to Maternal and Newborn Health (MNH) in Mwanza, Tanzania (IMPACT). This is a four year Global affairs Canada (GAC) initiative which will contribute to the reduction of maternal and newborn mortality by improving the availability and utilization of gender sensitive - quality MNH services for women and their families in underserved areas of all eight underserved districts of Mwanza Tanzania. IMPACT through a public private partnership (PPP), will work closely with Ministry of Health, Community Development, Gender Elderly and Children (MOHCDGEC), local stakeholders, the community and local government to facilitate the behavior change, create demand and increase availability and utilization of maternal and newborn health (MNH) services. The Monitoring and Evaluation Assistant will be responsible for developing M&E systems, capacity building of project staff, interns, volunteers and stakeholders in project monitoring and consolidation, documentation and reporting relating to Maternal Newborn Health. • Consolidate monthly data from respective district activities conducted by IMPACT. • Present and disseminate monitoring and evaluation findings to appropriate stakeholders, including government, funding partner and other relevant stakeholders. • Ensure monitoring and evaluation systems and tools, data collection, entry, cleaning and storage are appropriately implemented by project staff. • Ensure monitoring and evaluation data is analyzed to an appropriate standard and that results of analysis inform project decision making. • Coordinate implementation of surveys, evaluations and researches as requested by management. • Coordinate and analyze impact evaluation data. • Develop a capacity building plan and identification of internal capacity needs of staff and volunteers. • Ensure that all IMPACT staff have the capacity to conduct field work, coordinate output monitoring, analyze basic monitoring data and present findings. • Design and coordinate the implementation of appropriate training and support systems for staff to ensure quality implementation of monitoring and reporting tools. • Plan, lead and evaluate regular M&E training workshops to build the capacity of project staff in use of M&E data for project improvement. • Mentoring of project fellows in Monitoring and Reporting in collaboration with MERL Manager and Data Manager. • Provide supervision for quantitative and qualitative data collection activities as applicable. • Conduct data quality checks in the field and ensure accuracy and completeness of assessment questionnaires. • Provide supervision for data entry of quantitative data, clean data and conduct data analysis. • Supervise all M&E casual workers (Enumerators and Data Entry clerks) where applicable. • Participate in the baseline, mid-term and end of term evaluations of IMPACT in accordance with the Performance Measurement Framework (PMF). • Ensure that hard copies and soft copies of data collected is kept at project site. • Prepare informative field reports, identify shortcomings and make relevant recommendations on a regular basis. • Develop and refine the project log frame, systems and tools to ensure the project is being monitored and evaluated effectively, efficiently and in line with national strategies and donor requirements. • To share ideas and best practice with other programme partners, staff and stakeholders. • To assist on the continual review and improvement process via the Evidence Based Decision Making frameworkw ith regards to Restless Developments monitoring and evaluation function. • Support the administration and finance team to manage and monitor the project procurements and budget. • Ensure that all funds are accounted for on time and accompanied by the required documentation enabling accurate and timely reporting. • Support the development of procurement and financial reports as required. • Uphold procurement and financial policy and procedure. • University degree in relevant field of study (e.g. Social Sciences, Development Economics, Public Health, Epidemiology or Statistics). • At least one year experience in relevant field (M&E,International Development, ASRH,). • At least one year of experience working in monitoring and evaluation, including design of systems and tools, data analysis and report writing. • Demonstrated ability and willingness to learn and share. • A clear understanding of contemporary development issues and trends in M&E in the field of MNH and ASRH. • Excellent IT, including relevant M&E packages (Epilnfo, SPSS, Stata etc). • Excellent data consolidation and reporting skills. • Ability to travel regularly to project areas and spend nights if necessary. • A high level of motivation and ability to work independently as well as part of a team desirable. • Demonstrated experience managing data, finances and/or administrative systems. • An understanding of contemporary development issues particularly of MNH & ASRH. • Experience Working in a multicultural environment. 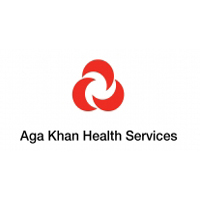 • Individual must be results orientated, highly self-motivated and have demonstrated analytical skills.The successful candidate will thrive in a multi-cultural environment as part of a rapidly growing organization and be personally committed to Aga Khan Health Services, Tanzania mission and values. • Individual must be results orientated, highly self-motivated, be able to work independently and as part of a team and have demonstrated analytical skills. Ocean Road, Dar es Salaam. Closing date for submission of the application package is end of business day on 9th May, 2018.